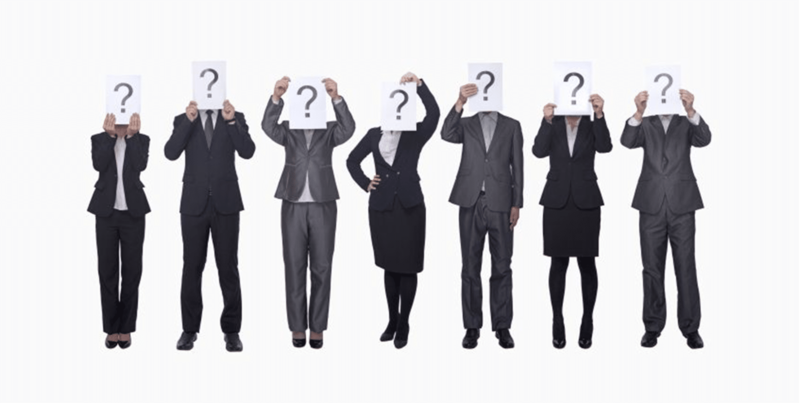 Hubspot defines buyer personas as: “a semi-fictional representation of your ideal customer based on market research and real data about your existing customers.”Wondering why this matters for your law firm? The foundation of any marketing campaign (including law firm marketing) is creating specific buyer (or in this case client) personas. In so doing, you’re defining each of your ideal client types in terms of their demographic, behavior patterns, motivations, and goals. This allows you to tailor your marketing messages and client acquisition campaigns to your ideal clients. By focusing your energy and resources to acquire the ideal clients for your business, your marketing budget will be spent more efficiently. Additionally, your firm’s messaging will resonate more deeply with potential clients, increasing your chances to earn their trust and business. It’s easy to spend money on marketing. Whether it’s digital, print, television or radio advertising, there are plenty of companies who will gladly take your firm’s money to advertise your business and services. But focused, persona-driven marketing campaigns are proven to be effective according to Forbes and Inc. Inefficient marketing campaigns advertise your firm to a broad, non-specific audience. Efficient, persona-driven campaigns clearly communicate why your firm is the best fit for your ideal clients, placing ads where your preferred client base is most likely to see them. There are many ways to define a clear client persona for your law firm marketing campaign, but I find that working to nail down information in these 5 key areas will serve as an excellent start to your marketing efforts. It’s helpful, to take time to define who your ideal clients are, including where they work, where they’re located, age (individual) or size of business (corporate), etc. When compiling this data, don’t just rely on what you think you know about your clients, look at your existing client list and list the basic information of each client. This will allow you to group clients by similar characteristics. You’ll be surprised how quickly you can create several well-defined basic marketing personas by analyzing your client list in this way. Next, work to define the pain points each type of potential client has. Corporate clients may want legal representation that is accessible and transparent about billing. Clients with a DUI arrest are likely concerned with avoiding jail time. Those seeking a divorce are likely seeking experienced legal representation that will can help them reach a quick resolution. By understanding the primary concerns of your potential clients, you can customize your marketing message to make sure it resonates and addresses those pain points. A client with a worker’s compensation claim wants to be able to provide for his or her family after injury. A father getting a divorce may need to retain visitation rights with his children. Define what motivates each type of client you want to acquire, and your marketing campaigns can then speak directly to these motivations, making your firm’s message communicate your ability to achieve what potential clients want or need. Outside of the motivations and goals of your ideal client, take time to identify the personal traits that many of your clients share (and your prospective clients are likely to share as well). Are they family oriented? Social? Sports fans? Do they love to golf? Understanding the common traits and interests of your client base will help you to build an instant connection with prospective clients to help them choose your firm as its legal representative. Taking time to understand the person behind each business interest will also allow you to develop a long-term working relationship with new clients. Understanding where potential clients spend time can help you be more efficient with your advertising dollar. Market research or a questionnaire circulated among existing clients can help you understand what radio stations they listen to, which social media platforms they spend time on, where they search for information online and in print, and what conferences (if any) they regularly attend. By understanding the websites, social media channels, brick-and-mortar events and television and radio stations your ideal client is tuning in to, you can define where your advertising dollars will be best spent. Once you define exactly who you’re trying to communicate with, your firm’s legal marketing agency will be able to target your messages more appropriately, and speak directly to each type of ideal client while deploying well-planned, client-focused marketing campaigns. What’s more, if you aren’t developing a buyer-persona based marketing strategy for your legal practice, you’re likely giving other firms in your market an edge. If you complete a Google search and look at the text ads at the top of the search results, you’ll likely start to see that many companies are employing buyer and marketing persona research to help their advertisements stand out and connect with potential customers and clients. If you’re interested in working with our legal marketing team to help you identify and reach your ideal clients to generate high-value leads for your law practice, contact Gorilla Webtactics today.